Gun Genius, powered by GunBroker.com, provides the firearm consumer a comprehensive database to make an educated decision for their firearms purchase. GunBroker.com sellers can take advantage of this captive audience by sponsoring their GunBroker.com item listings on Gun Genius. Gun Genius users can discover your item listing while researching products, and immediately click to purchase your item on GunBroker.com. 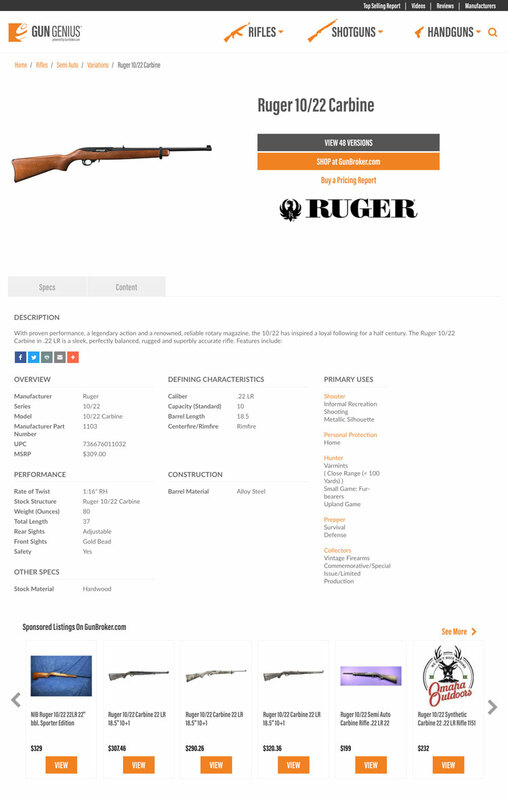 If the Sponsored Listing is a firearm, the listing with characteristics matching that model will be given priority visibility for that model page. What displays on the sponsored listing?